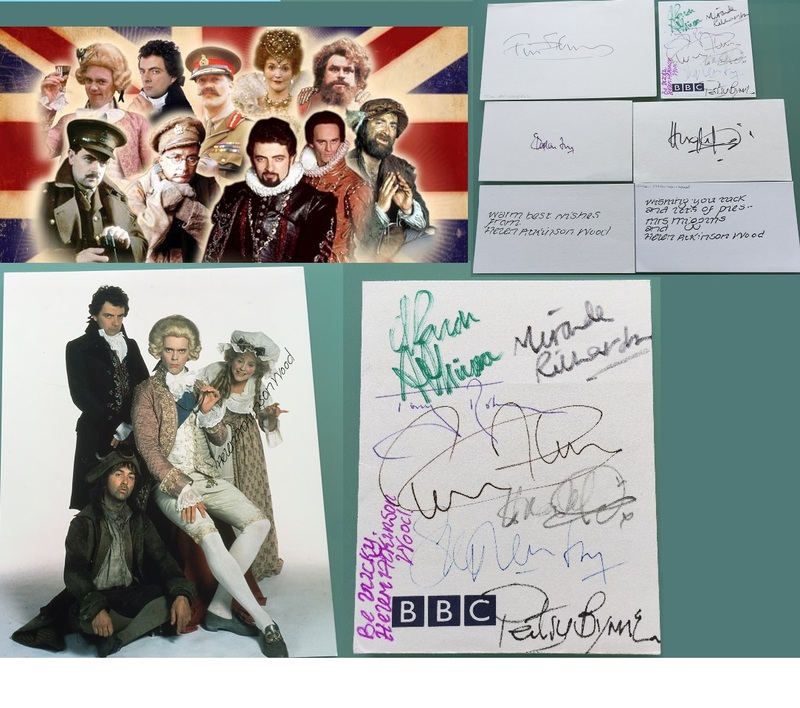 Here we have a stunning Black Adder photo and autograph collection signed by all the main cast. 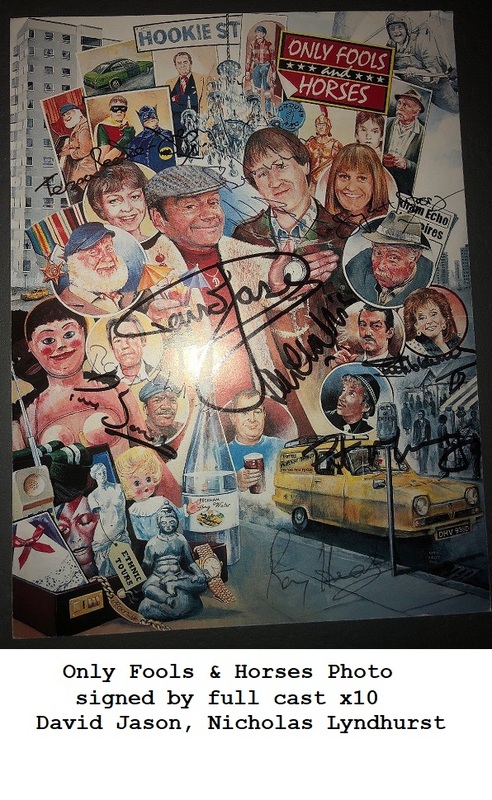 The centre piece of the collection consists of a multi signed official BBC card, signed by 8 of the main cast. Also comes with a nice set of signed index cards, individually signed by the actors. Included is a 8" x 10" photo in fine condition to mount them with. The photo is signed by Helen Atkinson Wood. Helen Atkinson Wood (Mrs Miggins) - signed x 4 (with quote" Wishing you luck and lots of pies !" Comes with our own Devon Autographs COA.